Dune Villa offers a great experience for large families traveling together! The home is separated into 3 separate units so you will have space to enjoy time will the family, but also space to get away. Combined the property offers 7 bedrooms, 4 baths, 3 kitchens, 3 living rooms, and can sleep up to 22. Guests will enjoy the central location which is only 200 yards from the beach and walking distance to restaurants, shopping, Memorial Park, playground, and the public library. The top two floors of the home is a 3 bedroom, 2 bath apartment. It offers a large open living area, dining area, and kitchen which is a great space for spending time with family or friends. The living area has ample lounge seating including two sleeper sofas and a large flat screen TV. The dining area has seating for 8 and an additional 4 at the kitchen island. The kitchen is fully equipped including a dishwasher and would be a great space for family dinners or holiday meals. There are two guest bedrooms located on this level, each bedroom is furnished with a King-size bed and a Flat screen TV. There is also a full bathroom on this floor with a walk-in shower and a laundry room with washer/dryer. The top floor is the third bedroom which is furnished with two Queen beds, a flat-screen TV, an attached private bathroom with tub/shower combo, and an extra table seating area with seating for 4. This room has access to a private balcony with views of the ocean over the rooftops. Additional amenities include Wi-Fi, central heat/air (the main floor only, top floor offers its own AC/heat unit for added guest comfort). The ground level of Dune Villa offers two separate 2 bedroom apartments which are mirror images of each other. Each apartment offers an open living area with a sleeper sofa and TV and a dining area with seating for 4. Each kitchen is fully is fully equipped with the exception of a dishwasher. Each apartment is furnished has two bedrooms, both have a Queen Bed and Two Twin beds with Flat Screen TVs. Both ground-level apartments are separate from the upstairs 3 bedrooms but are still easily accessible by walking up the exterior staircase. Guests will enjoy a furnished, covered screened porch attached to the front of the downstairs residences. Additional amenities include Wi-Fi, porches, ample parking with space for 7 cars. The ground level of the home is also pet-friendly. Please note that no house parties or special events are allowed at any of our properties. Need more space for your upcoming vacation? Then consider also renting Dune our Thing, a 4 bedroom neighboring home which sleeps up to 8. When combined with Dune Villa, that would be a total of 11 bedrooms, sleeping up to 30 guests. This house is amazing! It was beyond what I could ever imagined! Thank you so much for allowing us to stay. There was plenty of room for everyone and we loved the large kitchen, dinning room, and living room being all together for the main get gathering times. Our Family Reunion was planned 6 months ago initially in Gatlinburg Tennessee. Due to the Forest Fire our cabin was burnt. We booked the Dune Villa 2 weeks before the New Year Eve. We were very pleased with our stay and location of the Villa. Grandparents, Adults and Children all had a fantastic and spectacular time enjoying Tybee Island and City of Savannah. 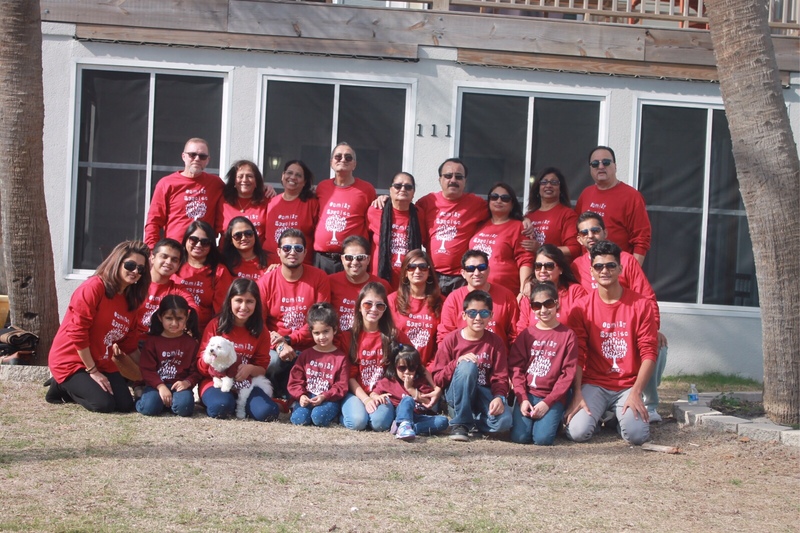 Our Family Reunion was a weekend to remember, remembering all the good times from 2016 and ringing in 2017 with our loved ones :) Happy New Year from our family to Yours!